Buddhism and Western science converge on a number of ideas. Modern psychologists attribute less power to the conscious self. Buddhism has significant insight on how to counter listless states of desire. Doubting the ego just might be good for the ego itself. Many Western philosophers and scientists have for some time neglected Buddhist thought. As they saw it as either pure mysticism or couldn't wrap their heads around the seemingly contradictory nature of its teachings. Due to this incomprehension, much has been lost from ignoring this rich body of thought. On first glance, the teachings will sound quite counterintuitive to our usual logical mode of inquiry. Alan Watts, the philosopher-sage, knew very much about this marriage of opposites and their contradictory but often illuminating perspective on the nature of reality. In one of his many books, Psychotherapy East and West, Watts remarked about the similarity between the madman and the enlightened guru type. One's life is an act with no actor, and thus it has always been recognized that the insane man that has lost his mind is a parody of the sage who has transcended his ego. If one is paranoid, the other is metanoid. While this division of the cultural thinking has produced drastically different ways of treating mental illness and approaching psychological matters; it would seem that on closer inspection that Buddhism and modern psychology and even science for that matter have a lot more in common than people realize. Robert Wright, journalist and professor of a class called Buddhism and Modern Psychology recently wrote a book titled Why Buddhism is True. 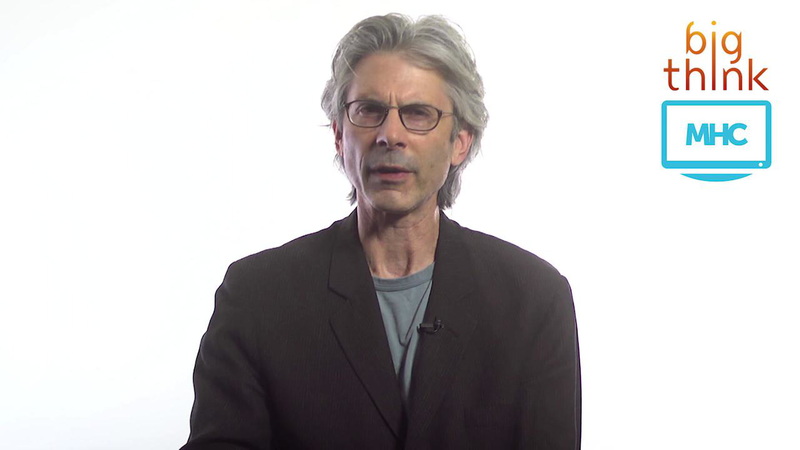 He finds a number of parallels between modern psychology and Buddhism. Take for example, Dukkha or "suffering" which is our wish to desire pleasure and seek happiness, although we know it will never last we continually still search for it. Current studies in the field of neuroscience are trying to determine the exact region in the brain that stimulates this activity, the so called "chasing the rainbow effect." Early results are showing that measured brain activity is proving that these effects of gratification eventually start to wane thin and that puts us in a lowered mood. Wright talks about how Buddhism already offers significant insight on how to counteract these negative but inevitable states of mind. Some of those remedies being in the realm of mindfulness and detachment. On the subject of self control, Wright brings up an old dialogue from Buddha: A man named Aggivessana is goading Buddha into a debate about the nature of self and trying to discount Buddha's maxim that there is no self. Eventually he admits that he doesn't have full control over his body or self. This then brings us to the subject of the ego. "The ego is born out of fear and isolation. It comes into being when self-consciousness first starts to come, when you're two or three years old and you start to realize, 'Oh, there's a person in here,' and you're trying to make sense of everything: who you are, who are those parents there? The ego is a way of organizing one's self, and it comes from the intellect as the mind starts to click in." Eventually though he believes this can become a negative state of mind. For example, when it comes to taking in too much negative feedback and fastening ourselves to states of negativity. The ego starts to reinforce and restrict itself and think that is the whole being even if its severely mistaken on what constitutes you as a whole person. Ego is a social institution with no physical reality. The ego is simply your symbol of yourself. Just as the word water is a noise that symbolizes a certain liquid without being it, so too the idea of ego symbolizes the role you play, who you are, but it is not the same as your living organism. Epstein goes on to say that to bring Buddhism into therapy or to bridge over to a more skeptical Western audience, we need to start doubting the ego a little bit more. This is something psychotherapy and other psychiatric methods do by probing in at old fixed ideas we have operating inside of ourselves. 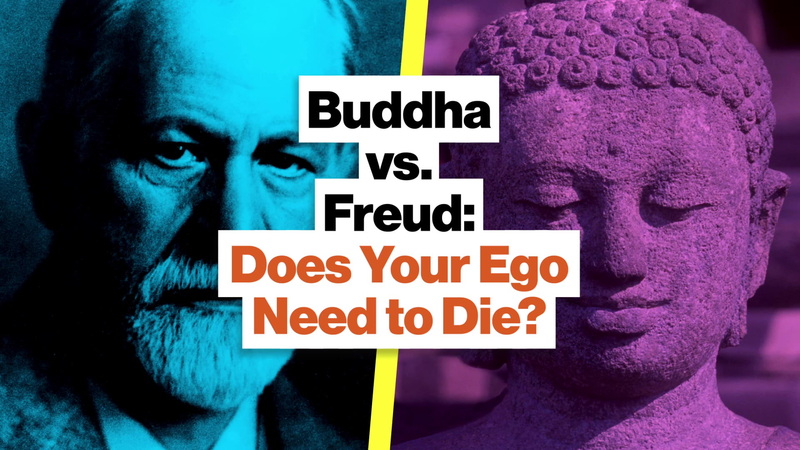 Sigmund Freud mistakenly believed that all Buddhism cared about was eradicating the ego. But both of these schools of thought were after something very similar, even if they didn't know it. Both Buddhism and psychotherapy to some degree are about reintegrating the self, and ego into harmony with the world surrounding them. We cannot completely eliminate an ego, as we utilize this notion of selfhood to navigate and control the world around us. These therapeutic practices are ways to build ourselves into better human beings.